Hands up who wants some pizza! 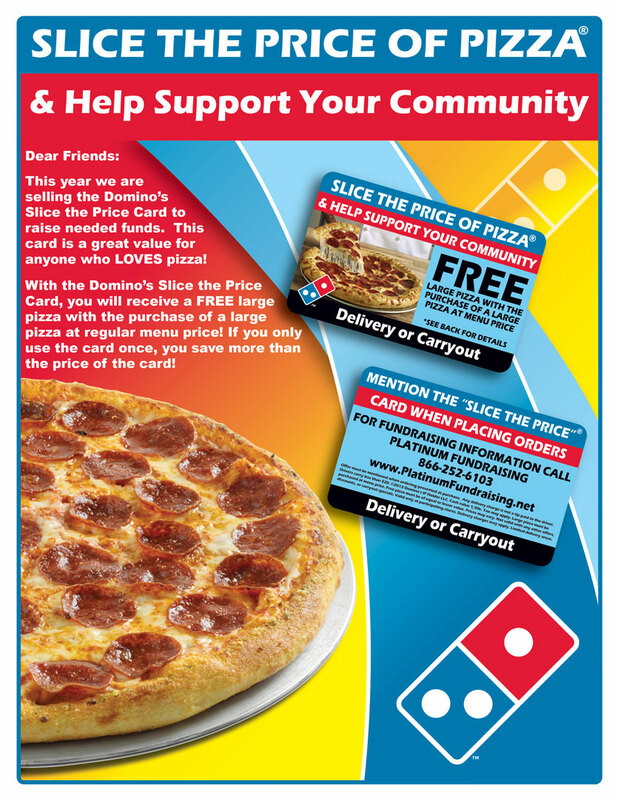 The band will be selling Domino’s Pizza “Slice the Price” Cards. Each card entitles you to an unlimited number of Buy-One-Get-One-Free large pizzas at Domino’s from now until the end of the year! Cards cost $10 each, and half of that amount goes directly into each student’s band account. Students will bring order forms home on Monday, February 29th, and will have two weeks to take orders for the cards. Unlimited Buy-One-Get-One-Free large pizzas until Dec 31, 2016! Cards are accepted at all local Dominos Pizza locations. Card pays for itself the first time you use it! Each card can be reused all year. Perfect for sleepovers, work parties, fundraisers, class parties, and family movie nights. This entry was posted in Fundraiser and tagged fundraiser on February 28, 2016 by Rich Rennicks.